Hi everyone! 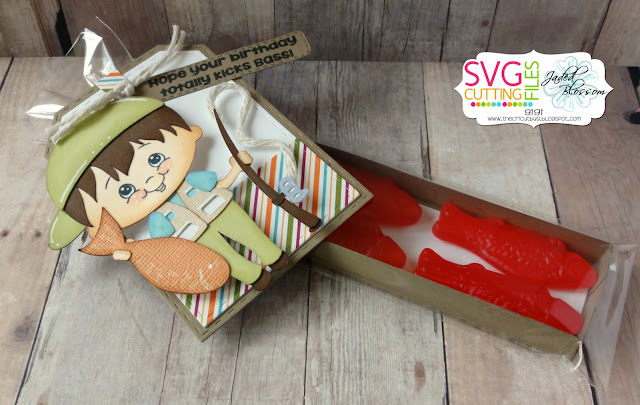 This is GiGi from The Cricut Bug and I have a fun treat to share using the Monthly Spotlight stamp set, Fish On. This stamp set is SO FUN! I love the "fishy" sentiments in it! I started this project with the Candy Caddy Die and cut out the box. I added a piece of white to add to the bottom and placed some Sweedish Fish inside. I then placed the box into a 2.25 X 8 inch Clear Bag. 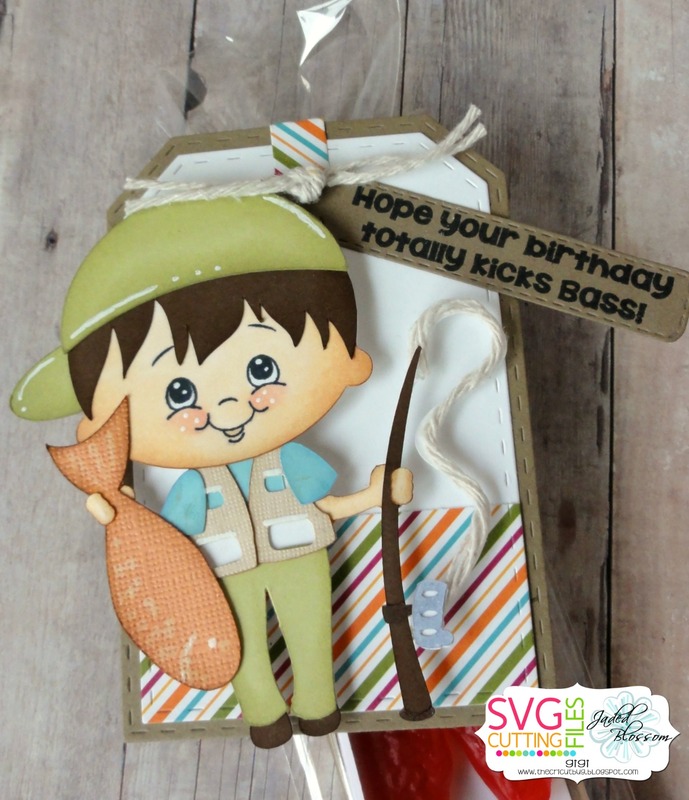 I cut the boy from the SVG Cutting Files Fisherman file and stamped the face with a Peachy Keen face stamp. I used a white gel pen for the highlights and added some twine for the line on the pole. I cut the tag using the Luggage Tag Die and the sentiment banner from the Mini Tag Dies. I stamped the sentiment onto the banner and attached it to the bag with some twine. 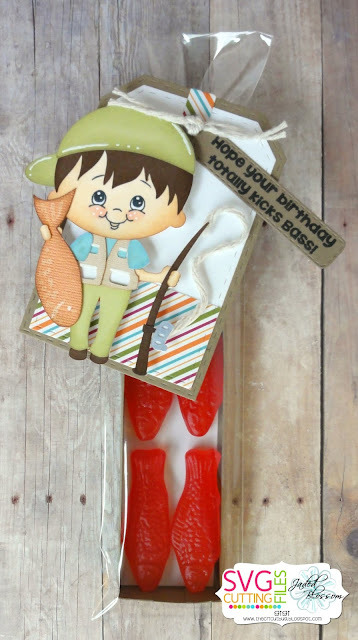 I hope you all liked my project for today and don't forget to get your own Fish On stamp set at a great price this month! This is so cute, love the sentiment. Love the treat! That fisherman is adorbs! Oh this is just too cute! Thanks for sharing!